On today’s episode of Beyond Billables, we spoke to someone who is tackling the future of legal practice with the elegant touch of a designer. Meera Sivanathan is the co-founder and head legal designer at Dot. Prior to Dot. Meera worked as a lawyer for a leading international law firm in Sydney. She has extensive experience providing both legal and strategic advice relating to M&A, funds management, and private equity & venture capital. 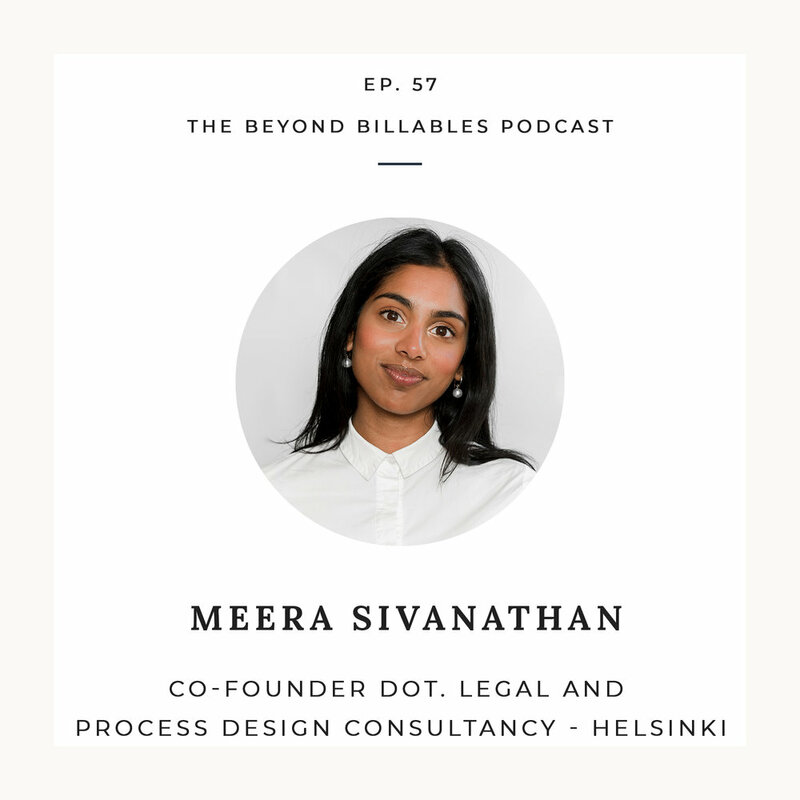 In our conversation with Meera, we talked all about her work as a legal designer and how her team is developing innovative, human-centric and legally sound solutions for organisations, markets, and society. We traced her career origin story from Australia to Finland, talked about primary industry problems, improving end-user experiences, empathy, empowerment and touched on her advice for future lawyers.